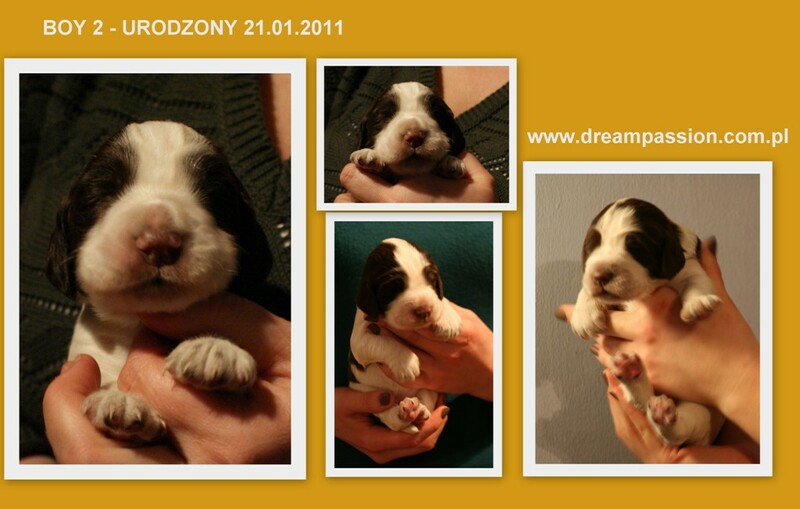 Boy 5 - "AMIGO" vel "WEDEL"
HIGH POINTS Dream Passion "Hunter"
FROM HEAVEN Dream Passion - "Portos"
FALL IN LOVE Dream Passion "Fela"
FANTASTIC LILU Dream Passion "Lilu"
FIRST OF ALL MAGIC Dream Passion "Nefka"
FLAMES OF LOVE Dream Passion "Megi"
Our charming, beautiful - RUTHLESS MAC z Czarnego Dworu (MOMPESSON JESTER x Bogaloo's X-MAS SURPRISE) will become mom. 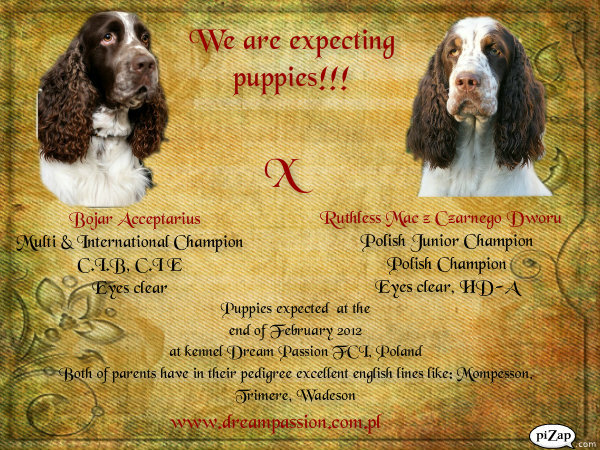 Neli is appreciated by the judges in the rings both in Poland and abroad - Neli is a Polish, Romanian, Ukrainian Champion, Romanian Grand Champion and Junior Polish Champion. 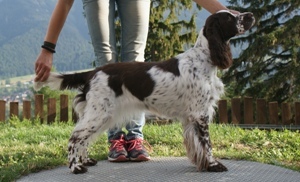 Neli has also Working Certificate. 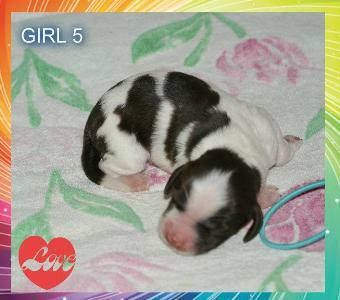 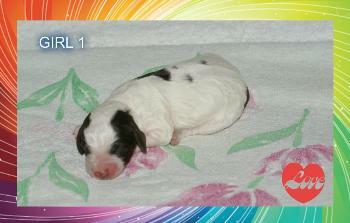 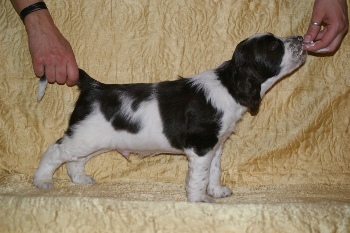 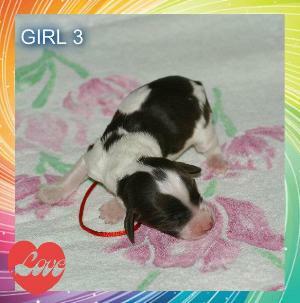 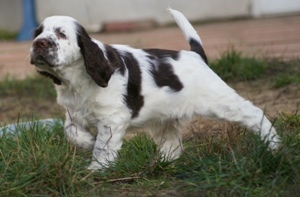 She is a mon for B and S litters in our kennel. 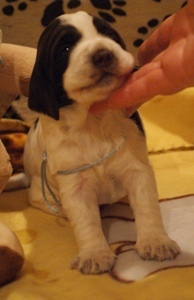 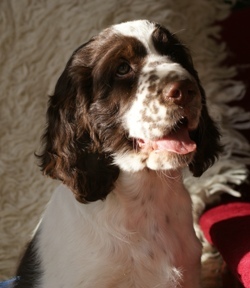 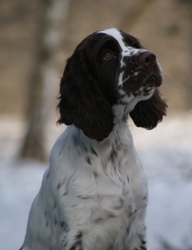 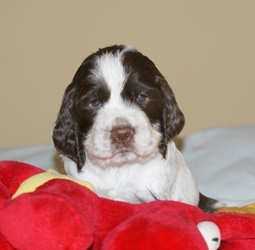 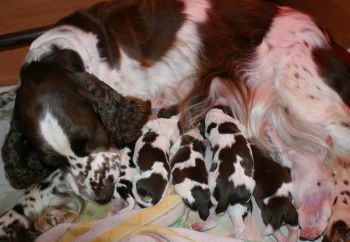 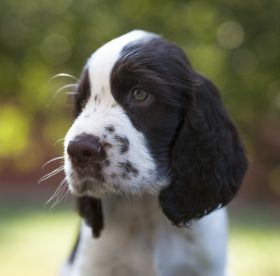 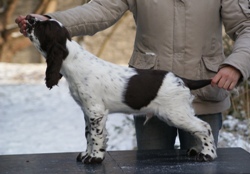 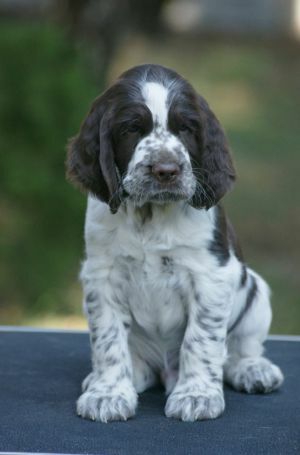 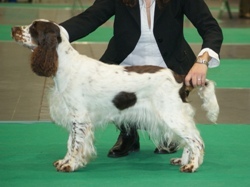 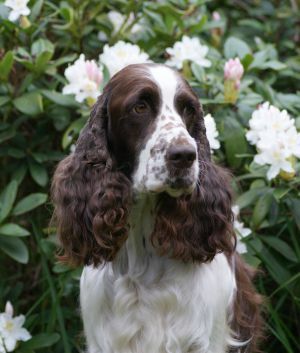 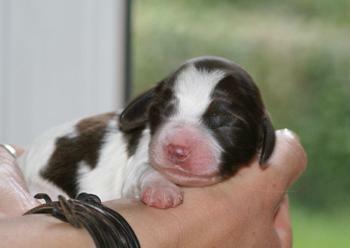 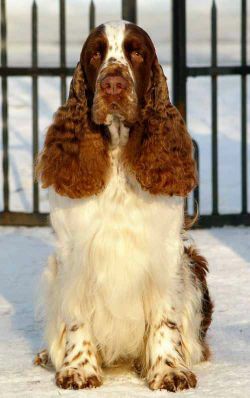 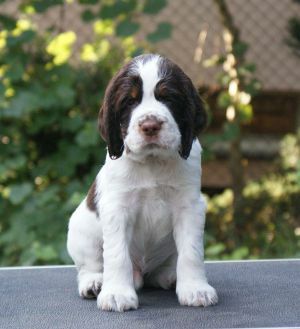 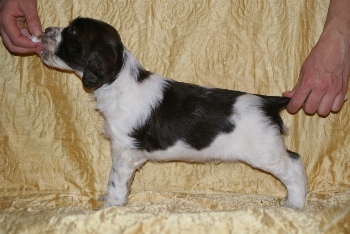 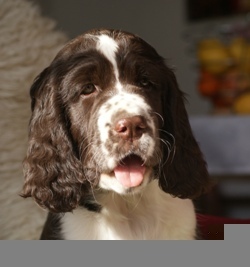 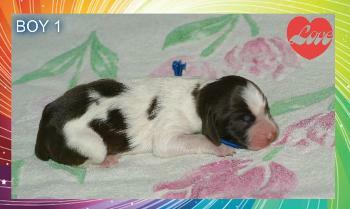 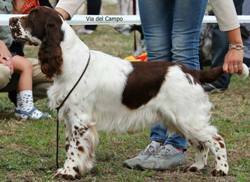 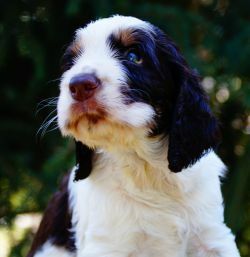 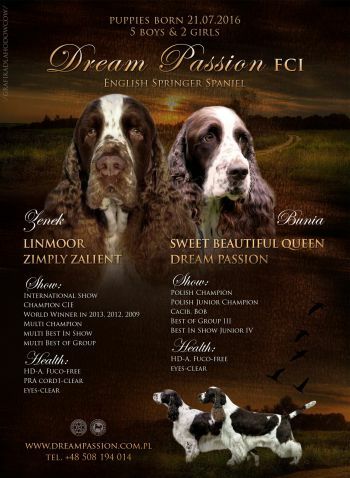 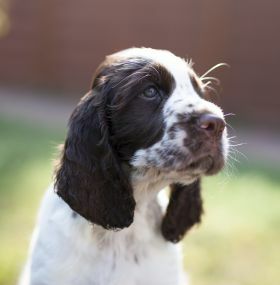 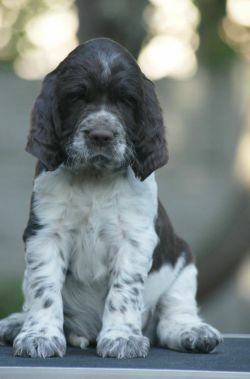 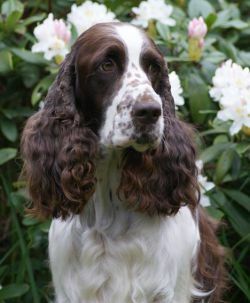 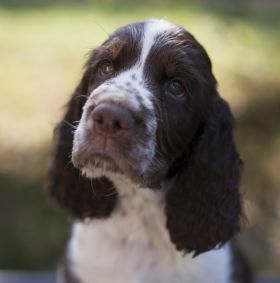 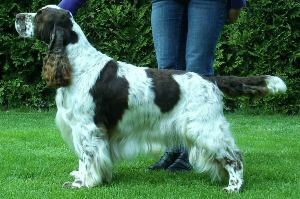 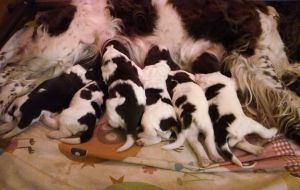 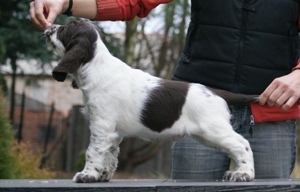 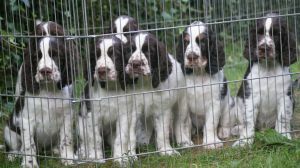 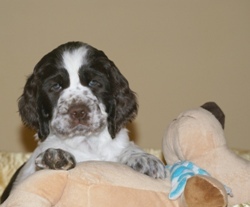 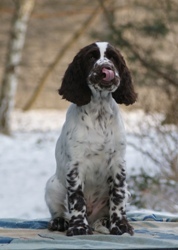 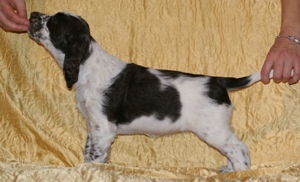 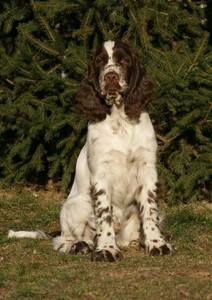 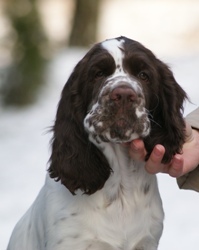 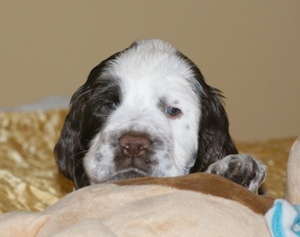 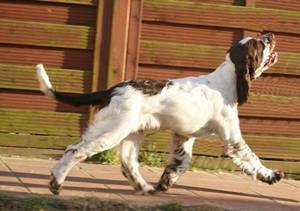 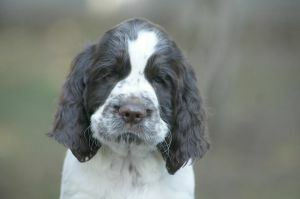 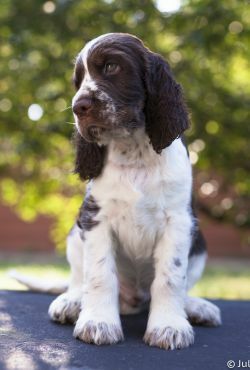 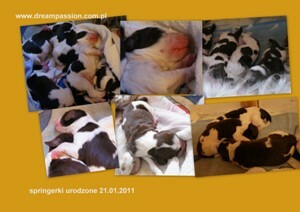 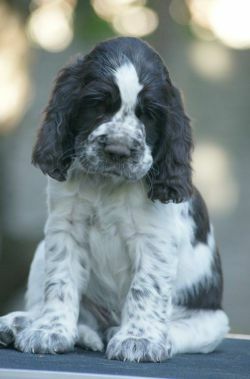 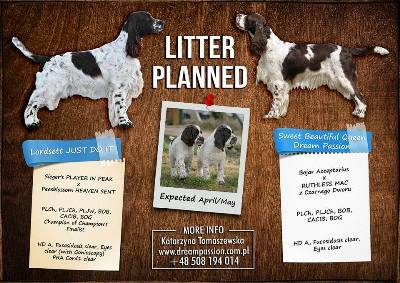 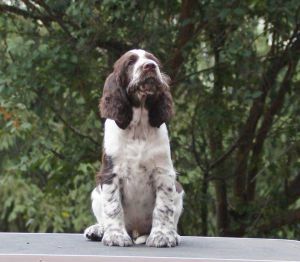 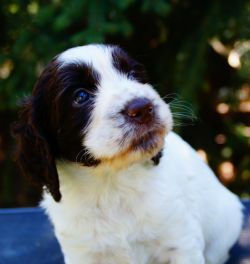 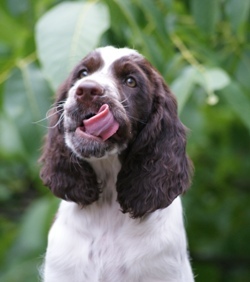 Her children are beautiful and wise springers with a perfect springer character and take part in many dogs shows. 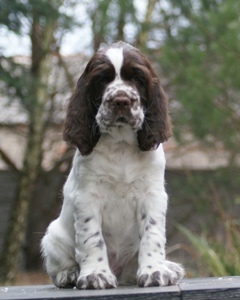 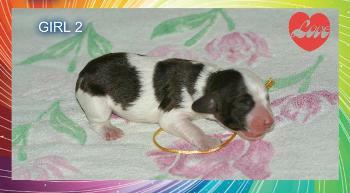 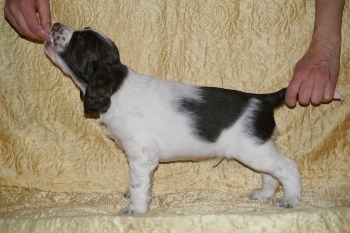 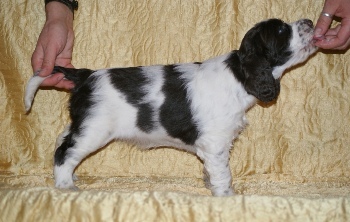 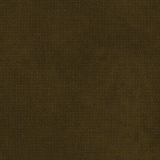 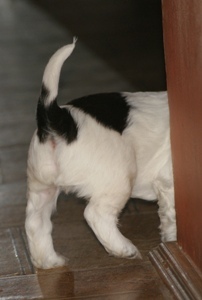 Neli's partner - Buxus Of Klamar Garden, the father of future puppies is a dog that has impressed me for a long time. 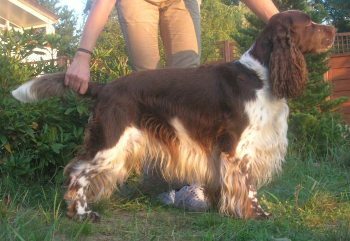 Beautiful - I would say just perfect :) International Champion, it's hard to count all his acquired titles ... A dog that works in dog therapy - what ensures his balanced character. The mother will be our beautiful female Neli - Ruthless Mac z Czarnego. 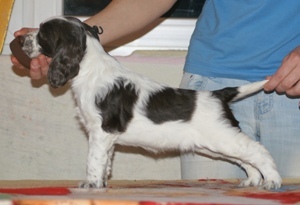 The father will be very titled Dżamal - Bojar Acceptarius. 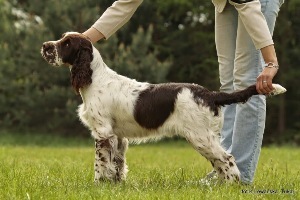 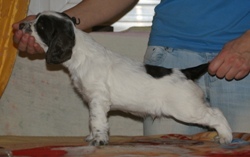 Both Neli and Dżamal have a great typical springer characters. 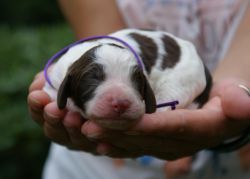 If you are interested in a puppy, contacts us. 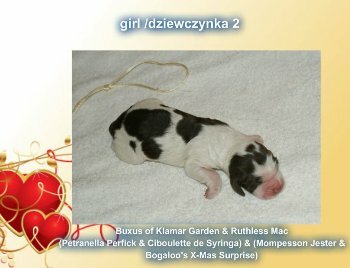 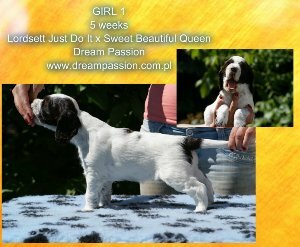 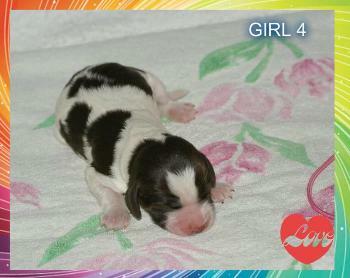 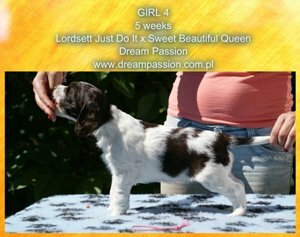 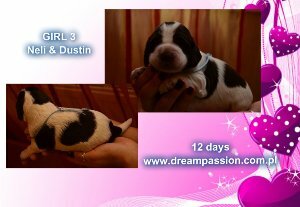 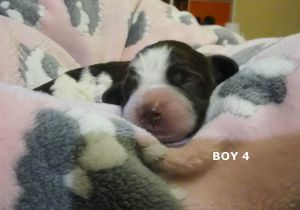 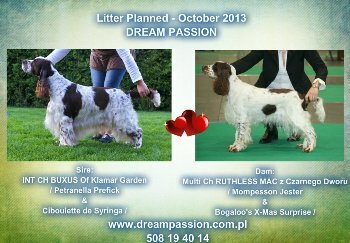 BEAUTIFUL PRINCESS Dream Passion "Fiona"
BY YOUR SIDE Dream Passion "Kenzo"
BEAUTIFUL PRINCE Dream Passion "Arvil"
BRAND NEW DAY Dream Passion "Bruno"
BECAUSE OF YOU Dream Passion "Bing"
The puppies born in our kennel have all documents. 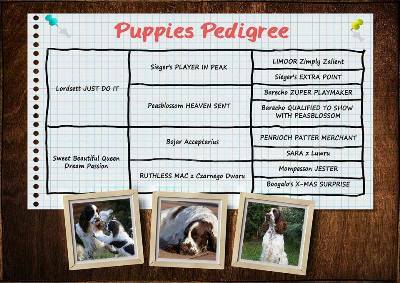 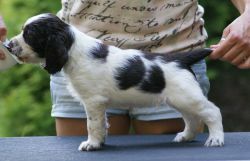 Every puppy receives a certificate of birth, which is needed to make a pedigree, health book with all vaccinations and some gifts. 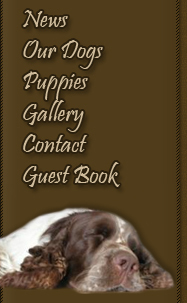 We also add a small book about food and care. 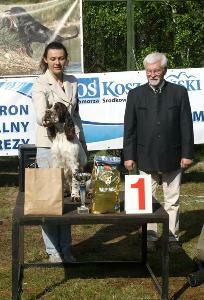 We help in preparing for dog shows.